Are you the festive type that likes to do it up right for the holidays? If so, that's great! After all, what would the holidays be without enthusiastic people to add flourish and cheer to a time devoted to meaningful reflection and giving from the heart? Dolling up your home and immediate surroundings just seems to make these moments more vibrant and real. That's because when you create a festive atmosphere through decorations and adornments, it's easier for everyone to get into the holiday spirit — even for the bah humbugs. But this is also a time of year to take pets into consideration. Unfortunately, many a holiday has been ruined or dampened, at the very least, due to pets coming into contact with seemingly innocuous elements that we take for granted. 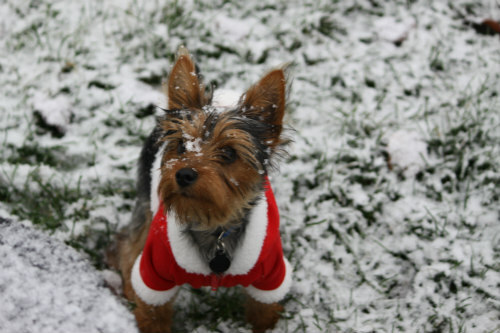 Here's a pet safety list of things to watch out for during the holidays. 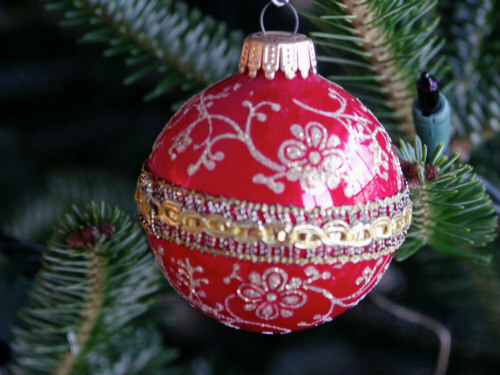 First off, if you have young pets, as in puppies or kittens, and you like to trim a tree, be sure not to hang ornaments much below the halfway point of your evergreen or spruce until they're older. This may seem like a no-brainer to folks who have been to this particular pet rodeo before, but for newbies it's a good thing to keep in mind. The reasons behind this pet holiday safety tip are pretty obvious: juvenile pets tend to look upon ornaments as their own personal playthings or, worse yet, chew toys. That's why it's also a good reason not to adorn your tree with glass or decorations that could contain toxins, especially beyond the midway point. You don't want to let the cords to lights dangle from the tree when they're not plugged in, either. This merely encourages chewing and could pose a hazard once they're plugged in. Think of it this way: homes with kittens or puppies should be decorated as if there is a baby in the house. Second, pet owners should try and find wooden ornaments without a lot of glued on doodads and small pieces, if at all possible, regardless of whether you have little ones to worry about or not. Even adult cats are fascinated by tinsel, ribbon and dangling ornaments and will bat at them for hours on end, given the chance. Once they drop off the tree or come off the packages and your cat loses interest in them, it can be your dog's turn next at playing with these new "toys," and that usually entails chewing on them. You can see where this is going. Believe it or not, tinsel ingested by cats and small dogs accounts for more veterinarian visits at the holidays than almost any other reason. Additionally, adorning lower branches with candy canes will only entice your dogs to investigate your tree further, so leave the sweet stuff for the upper branches or skip them altogether. The third pet safety tip is there are a couple of things to know about tree stands that could save you a lot of frustration, burns on your carpets and possibly a trip to the vet. Anyone with cats knows their propensity for climbing trees. And anyone with cats who's ever erected a Christmas tree knows that sometimes cats will climb them and topple them over in the process. This can create not only a huge mess, but if the lights are on it could possibly burn your carpets or, worse yet, start a fire. It only takes a few minutes for hot bulbs to melt carpet fibers. That's why you should consider weighing down the base of your tree stand, whether your tree is fresh or artificial. Fourth, if your tree is fresh, that means it's going to require water. It's a good idea to securely cover the stand with something to keep your pets from drinking out of it. This stagnant water is the last thing you want your pet getting into, especially if you've added any kind of crystals like you'll sometimes receive with floral arrangements for preserving them. These chemicals are meant for extending the life of the tree, but they could have the opposite effect on your pets. Our fifth and final pet safety tip is about greenery. Plants and other holiday foliage should also be thought about carefully before being brought into the home. 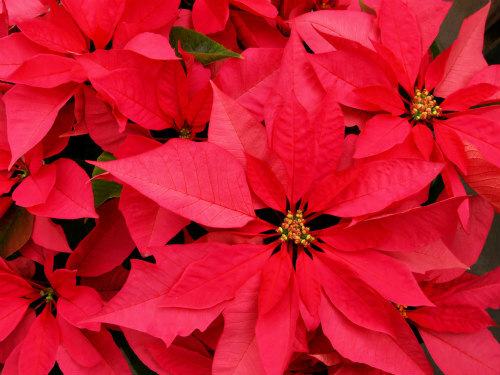 While many of us are aware of poinsettias and the risk they pose for making pets sick, they're not as bad as many people think. Yes, they're mildly toxic and animals shouldn't chew on them or eat them, but the Pet Poison Helpline says their ingestion rarely requires medical treatment, unless clinical signs are severe. For a full list of those signs, you can visit their website. It's actually a good idea to keep the web address and their phone number handy year-round, if you're a pet owner. According to noted veterinarian Dr. Karen Halligan, a greater holiday threat to concern yourself with when it comes to fresh decorations is garlands of holly and mistletoe. While these plants and their berries are pretty to look at, they're placed slightly higher on the toxicity chart as mild to moderate, versus the merely mild classification attributed to poinsettias. There is a distinction worth noting, though, and that is European mistletoe (not American) can be poisonous to your pets beyond minor stomach or intestinal irritation. It's also important to know that English Holly can result in damage to both the stomach and intestines of dogs and cats and that Christmas cactus can bring on bouts of diarrhea and vomiting as well. So, play it safe and keep this kind of greenery well away from pets. Being aware of these potential threats and planning accordingly can keep the holidays a fun and festive time with lots to be grateful for. 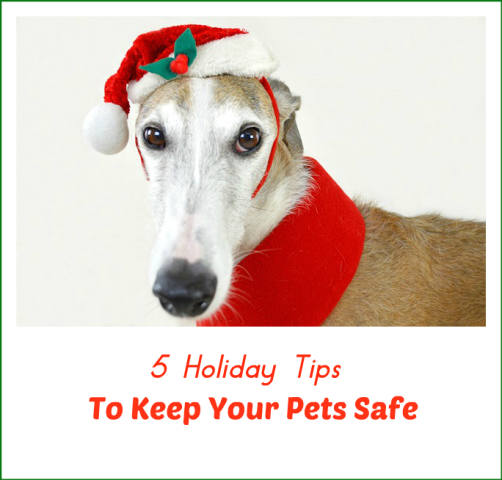 Pets are family, too, and keeping them safe year-round is important.